Japan is small but a scenic country filled with awe-inspiring travel routes and luxurious vessels in which to travel through them. 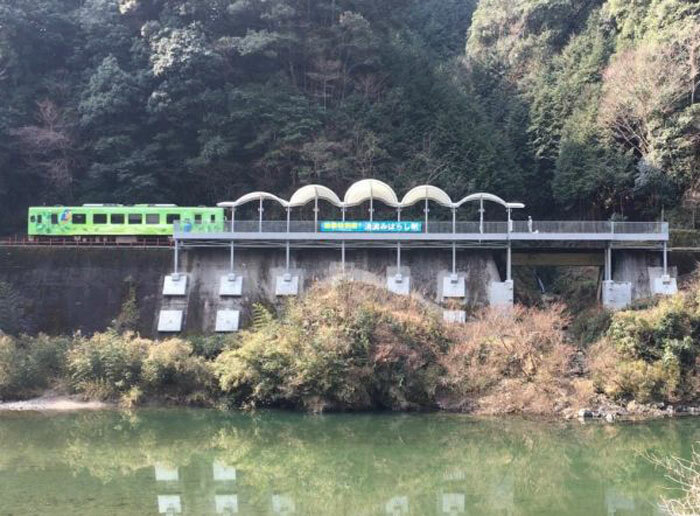 The latest transport design from the unique archipelago comes in the form of a train station sat isolated along the Nishiki River in Iwakuni, with no entrance and no exit. 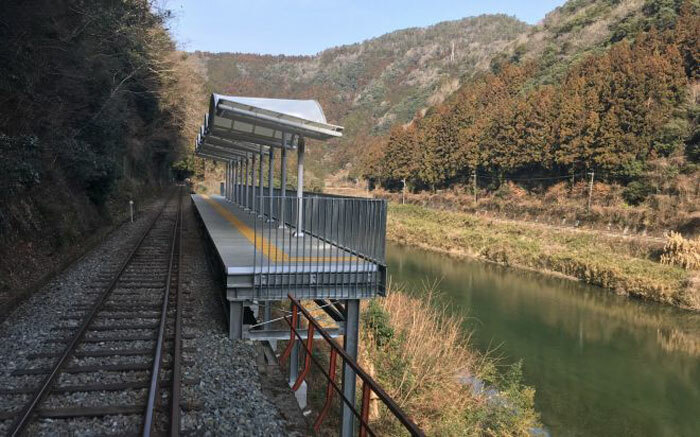 Located on the Nishikigawa Seiryu Line, the station, ‘Seiryu Miharashi Eki,’ which translates to “Clear Stream Viewing Platform Station“ is only accessible by train on Yamaguchi Prefecture’s Nishikigawa Railway. With its limited access, the picturesque spot was created solely as a spot where visitors could soak up the nature views that surround it. 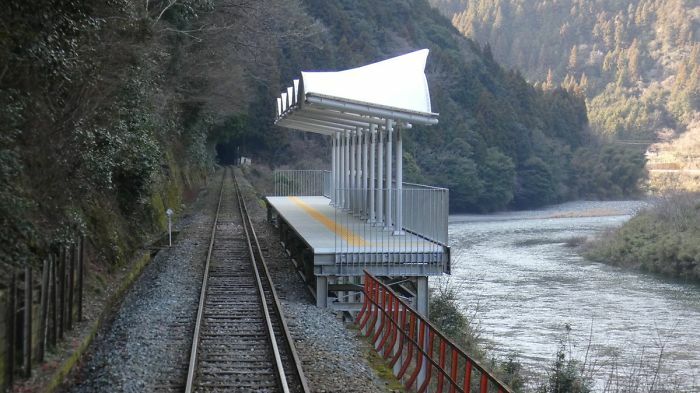 Upon arrival at the station, passengers will find that there are no stairs, ramps, or even a ticket counter, as it is not intended for people to leave the platform. 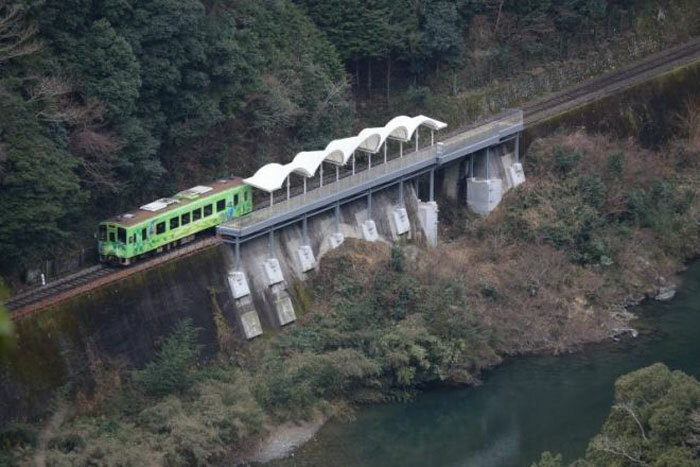 Railways systems in Japan are unmatched by other countries around the world. The country hosts the most well-connected and efficient systems in the world they run like they are from the future. 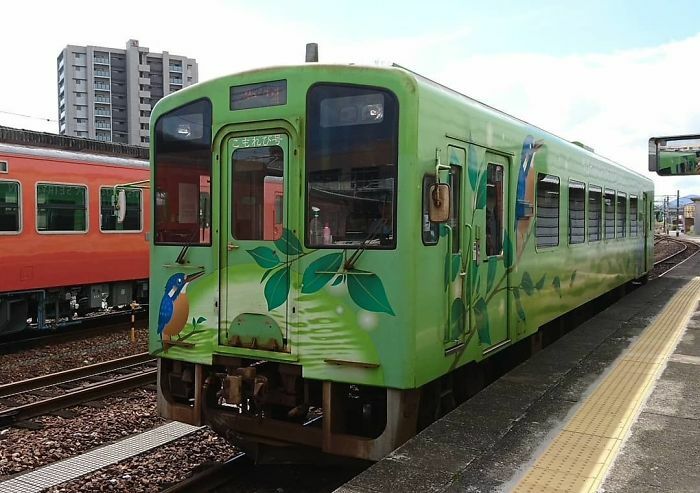 They run so efficiently in fact that the Tsukuba Express released a public apology for leaving the station 20 seconds early. 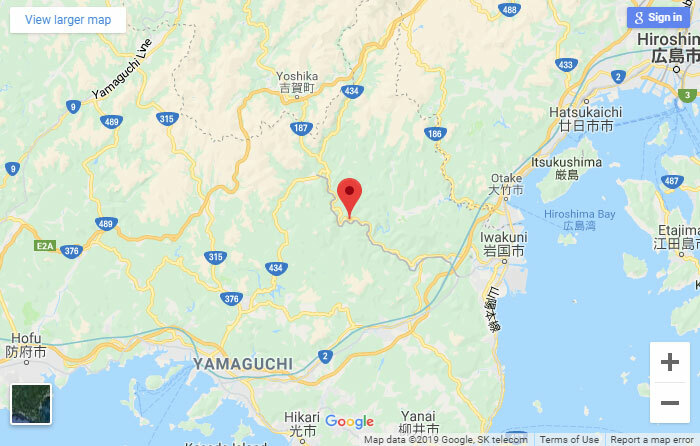 The station opened on March 17th of this year but has yet to be added to Google maps, it sits on a mountainside in the Yamaguchi Prefecture of Japan. 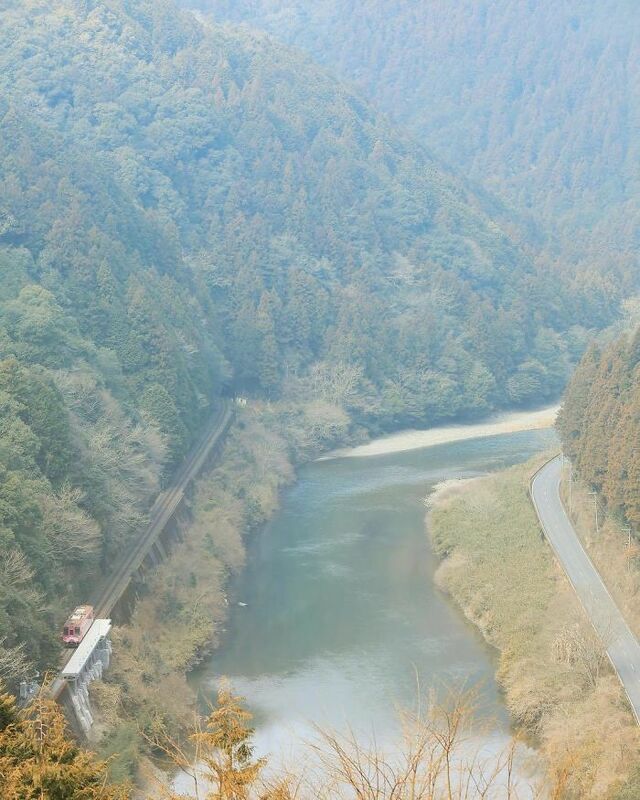 Mountains make up seventy percent of Japans diverse geography. 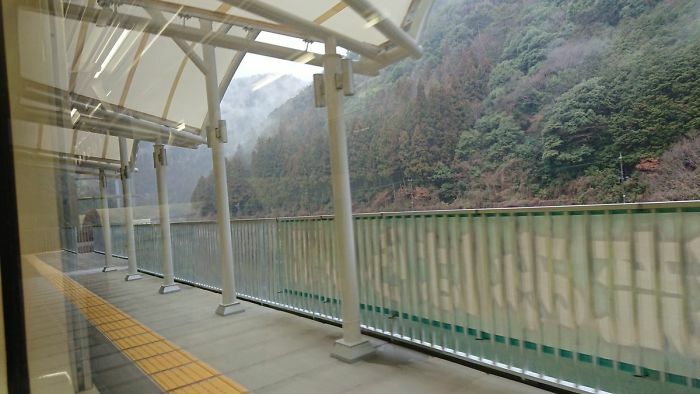 Photo taken during the construction of the station, located in both a rural and remote area of this prefecture. 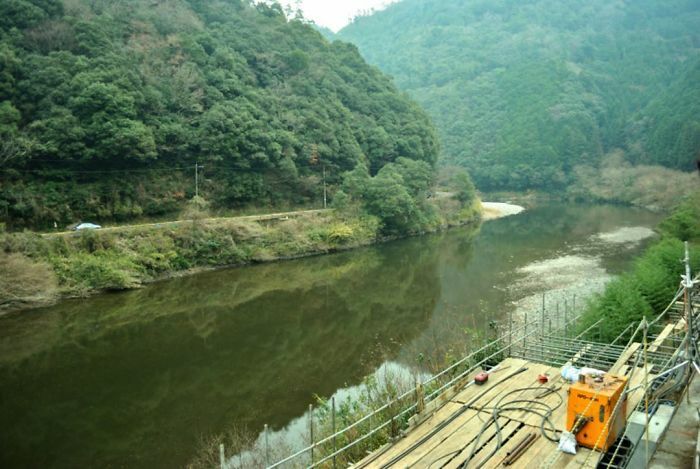 Seven percent of the total land area in Yamaguchi was designated as Natural Parks in 2012. 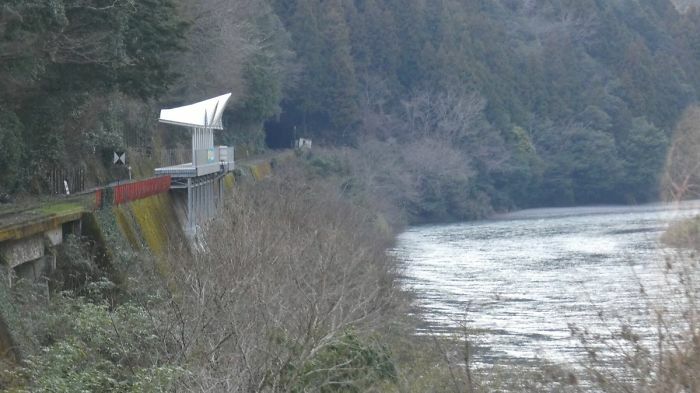 The Nishiki River is the longest river in the Yamaguchi Prefecture, flowing 110 km long. The source of the river is found in the city of Shunan and drains into the Inland Sea. 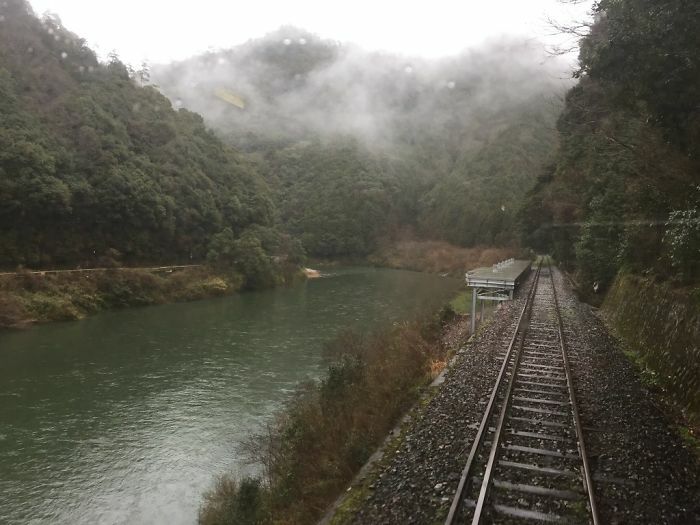 Japan is home to numerous rivers which is probably why it is home to the longest train bridge in the world, the Seto Ohashi Bridge which connects Okayama Prefecture on Honshu to Kagawa Prefecture on Shikoku Island. 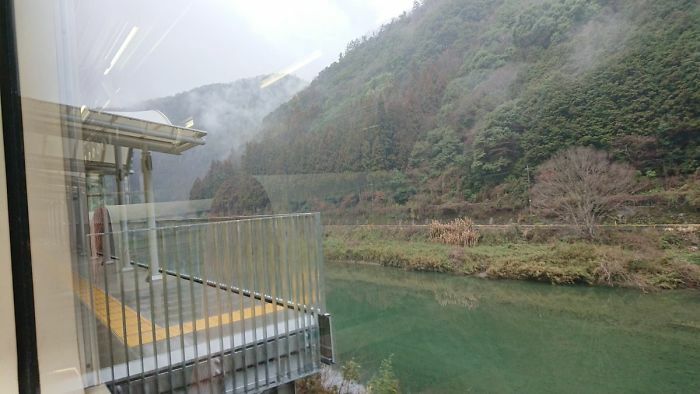 Reports have stated that passengers will only be able to stop at Seiryu Miharashi Eki during special train events like the sake-tasting train even, scheduled to run on that line March 31st to April 1st. 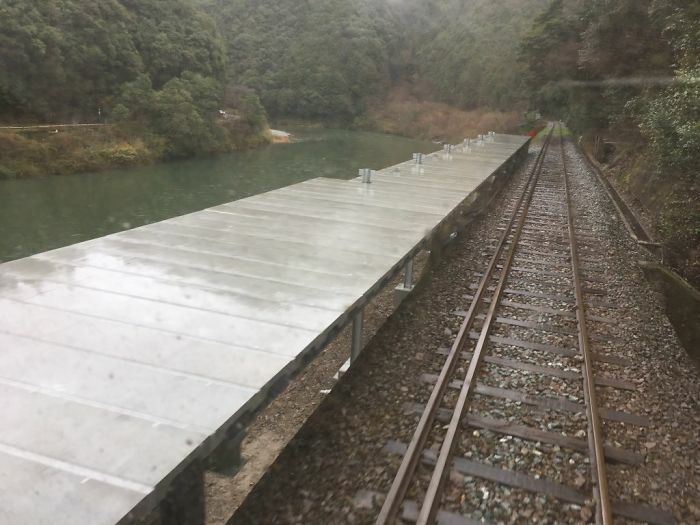 While it may seem odd to have a train platform with no entrance or exit that is not accessible all-year round Japan has many odd train stations. 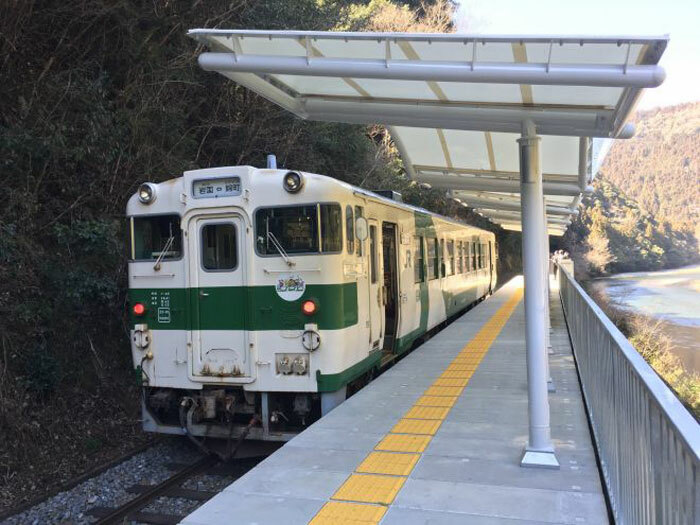 For example, the Tsushimanomiya Station, on the island of Shikoku is only open twice a year to celebrate the local summer festival at the Tsushima Shrine. This new destination is a creative way to bring visitors to explore the destination and pique their interest in the region. 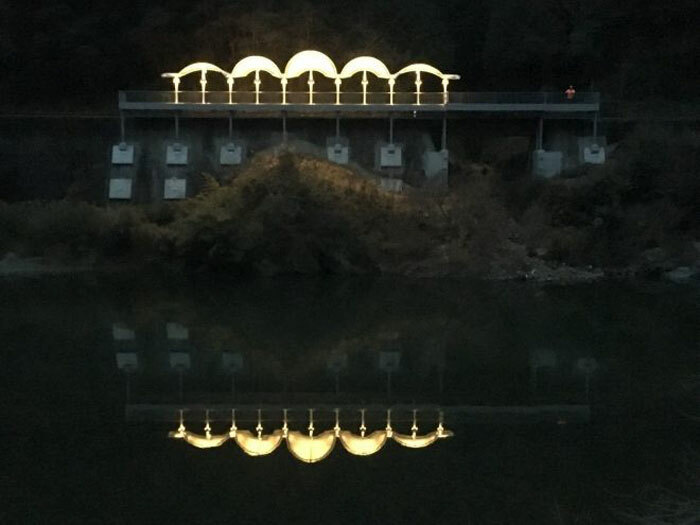 The only thing missing are some benches.